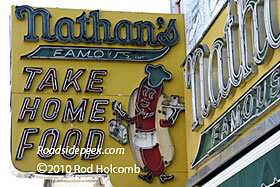 A must see addition to Roadside Peek: An article on The Huntington Hot Dog by John Salvatore. A very nice front in Wellsville, NY. 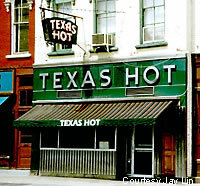 Texas Hot up spicy sausages and dogs to anyone who dares. Beautiful stainless steal on green tiles highlights this local eatery. In the mood for a quick and delicious bite? 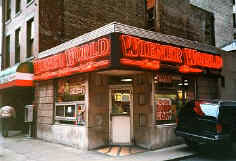 Then stop by Wiener World when you are in the Pittsburgh, Pennsylvania area and grab a dog. On a diet? Then try out the "soup of the day." 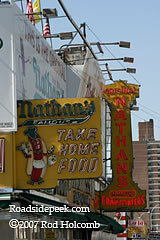 A visit to New York is not complete without a stop at Coney Island. 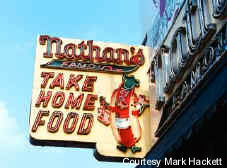 The original "home" of the hot dog (seemingly debatable to each and every other city), Nathan's Famous has been in operation since 1916. 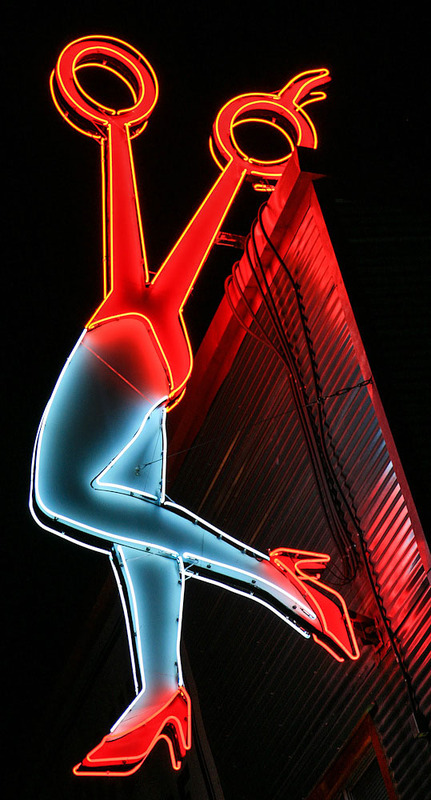 This is the neon marquee at the original counter, and no visit to Coney would be complete without "snapping" into the "best hot dog in the world."